Thieves in the UK may soon be serving community sentences, as long as they can prove that they were robbing out of "desperation". UK thieves, even those who target elderly and vulnerable victims, may not be sentenced to prison time - if addiction can be proven a mitigating factor in the commission of a crime. Currently, targeting vulnerable persons earns criminals a minimum of 18 weeks in jail, but under proposed new guidelines from the Sentencing Guidelines Council of England and Wales, community service would be a sentencing option for those "robbing out of desperation". Addiction would also mitigate the punitive severity of shoplifting, and again, as long as the total value of the goods stolen does not exceed 2000 pounds, the offender would eligible for a community sentence. Under the proposed guidelines, stealing from an independent or small operator would be punished more severely than stealing from a larger store or chain store. Conservative critics of the plan question the timing. 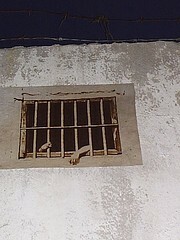 Prison overcrowding has become a significant issue, with over-capacity causing the early release of 80 inmates daily. The incarcerated population has reached 82 000, and some wonder if these sentencing guidelines are more about logistics than equity or social justice. And some just don’t see addiction as a reasonable excuse. As conservative MP Patrick Mercer puts it, "Whatever the background of the criminal they should be made to serve the sentence. Rehabilitation can go on in prison. I don't see why these are mitigating factors."